The Brooklyn Bedding Bowery mattress is Brooklyn Bedding’s newest mattress. This introductory priced mattress will be easy on your back and your wallet. Three layers of foam make up this 10″ thick mattress. The universal feel will be an ideal medium firmness that will work great for the majority of sleepers. This makes for a great budget friendly mattress that still feels luxurious. 20% Brooklyn Bedding Mattress Coupon Found HERE! Brooklyn Bedding Mattress is a US based online mattress company whose been around for many years. Originally based as a single retail store they have expanded mostly due to their “best mattress ever” model. Brooklyn Bedding is unique in that they are one of the few “bed in a box” companies that has their own factory that produces their own mattresses. This factory can produce up to 6,000 mattresses a day. This helps keep costs, materials and processes in check as well as the quality of the end product. 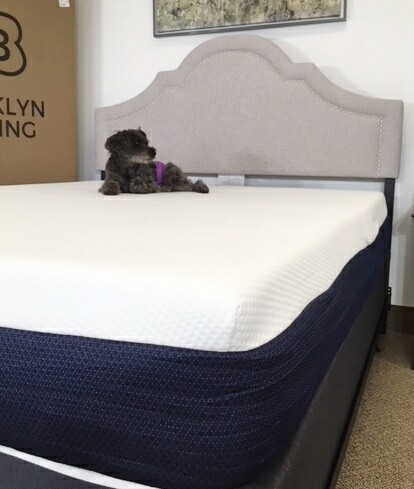 The Brooklyn Bedding Bowery mattress uses three layers of foam that work in harmony to create exceptionally comfortable bed. The patented top layer of Energex foam is contouring, responsive and adaptable. While the base layer is dense and solid for great support. Between these two layers is a gentle transition layer for deep comfort and even weight distribution. Together these layers make a responsive yet hugging all foam mattress with great pressure relief. This mattress doesn’t skimp on quality or materials yet is still at a very affordable price. This Brooklyn Bedding mattress also comes with free shipping, a 120 night trial period and a 10 year warranty. 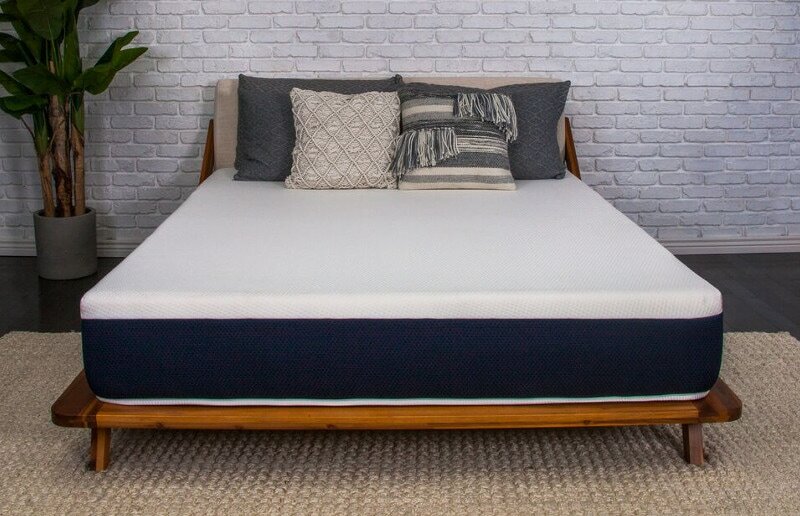 Shop for this VERY comfortable and supportive mattress NOW at Brooklynbedding.com! Make sure to use our EXCLUSIVE 20% OFF coupon with code: OURSLEEPGUIDE20. Below we have our detailed review for the Brooklyn Bowery. We will go through how it performed for us in comfort, motion transfer, sleeping cool and edge support. As well as go through the value, materials and delivery process. Also make sure to check out more on this mattress and their other beds at brooklynbedding.com. 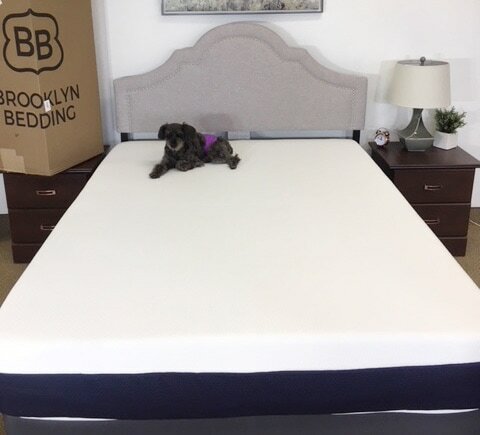 The very first thing to do with your new Brooklyn Bowery mattress is take it out of the box and get it set up. It should show up right at your door and in a fairly compact box, for a mattress anyway. Getting it to where it needs to go may take two sets of hands. It is about 70 lbs and a little awkward to maneuver if you’re on your own. Once you get it to where you’ll be sleeping it should only take a few minutes to get it out of the box and take it out of the plastic and come to life. This mattress is a breeze to unbox, see for yourself! When setting up your new mattress it will need a foundation that provides a flat, even surface that will support the weight of the mattress as well as the sleepers. It also will need to be the right height for you as well as be aesthetically appealing. Brooklyn Bedding also sells box springs, adjustable bases and platform beds. Otherwise the Brooklyn Bowery mattress would work great on any box spring with or without a frame, an adjustable base, a platform bed or slatted bed. 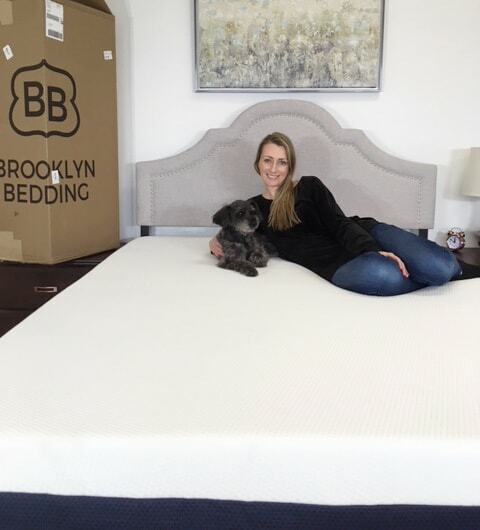 The Brooklyn Bedding Bowery mattress uses a universal comfort approach with one medium option that should appeal to the vast majority. This mattress is easy on the checkbook while still providing a quality mattress with plenty of comfort and durable support. The top layer is a patent pending Energex foam that is hyper-responsive yet very contouring. This comfort layer allows you to easily move and change sleeping positions while still having optimal pressure relief. This comfort foam combine with the transition layer allow you the mattress to adapt to each point of your body. The dense base foam provides a solid foundation while also ensuring plenty of support all while keeping you closer to the surface instead of sinking in. The feel of this mattress should appeal to most sleepers with its medium feel. It should fall right around a 5 on a firmness scale of 1-10. With 1 being the softest and 10 being the firmest. This ideal comfort range should work great for back sleepers and side sleepers. It will easily move with you while changing positions and contour and adapt with you. This bed should be a great compromise of contouring comfort and responsive support that is a steal of deal. While sleeping on the Bowery we felt that it was maybe a touch on the soft side and closer to a 3.5 to 4 on the firmness scale. It probably would be less ideal for larger sleepers and stomach sleepers. We found this bed slept fine but would probably be more ideal for a spare room, kids room or college dorm room. If you like a more medium soft mattress and are on a budget, it would work fine too, but may lack the long term support you would want. The price of this mattress is very affordable and slightly coincides with the durability. It is still a very nice mattress especially at the entry level pricing. 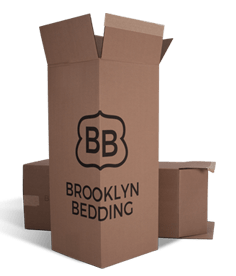 Brooklyn Bedding Bowery Coupon – Latest Savings HERE! This mattress is an all foam mattress and like any all foam mattress it should have minimal motion transfer. However, the top comfort layer made of Energex foam will be slightly more responsive which may produce a bit of spring. However, the second layer of transition foam as well as the dense base foam should soften and deaden any vibrations. You should feel very little transferring of movement on this bed. The Bowery bed will make a great mattress for anyone who shares a bed, even for a light sleeper, because of its ability to isolate motion. The Brooklyn Bowery mattress has several properties that help it stay cooler. Typically all foam mattresses sleep a little warmer due to minimal areas for heat to dissipate. However, the Bowery tries to alleviate this by using a few different materials to combat sleeping warm. The top layer of Energex foam is more responsive for easier moving. It is also infused with cooling gel for additional airflow and cooling right were it counts. It also uses foams that have an open cell structure to create better heat dissipation and less heat retention. This mattress also has uses a smooth top weave cover that has ultimate breathability. All of these details help this mattress from getting too warm while you sleep. The support around the perimeter of the Bowery bed should provide a consistent and fully usable feeling sleeping surface. The base foam and comfort foams are dense and sturdy and allow every inch of this mattress to be used for sleeping. Sleeping on this mattress you should not feel a difference of support from the edge to the middle. However, if you use it to sit on the edge you may notice less support, especially if sitting for an extended period of time. 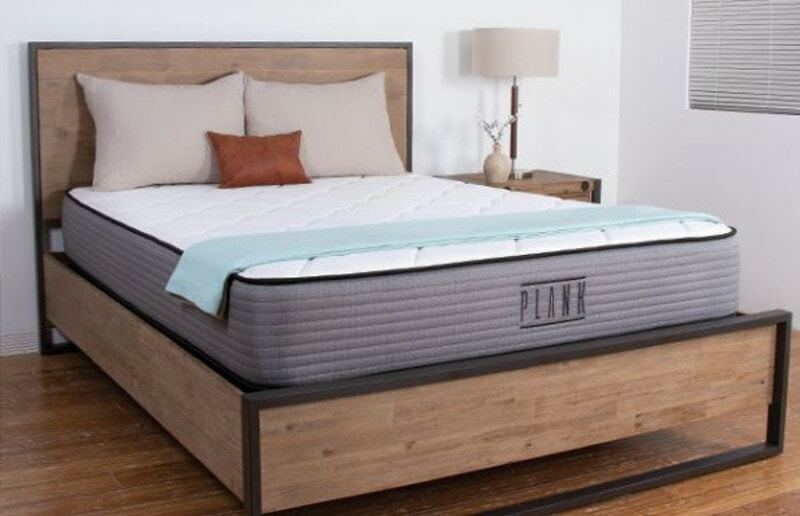 The value of this mattress is already great, especially considering you are getting an 10 inch mattress that is comfortable, supportive and durable. Brooklyn Bedding’s ability to design, manufacturer and sell their mattresses direct makes a huge difference in allowing the best mattresses for a very affordable price. The Bowery by Brooklyn Bedding is an 10″ three layer all foam mattress. The top layer is 3 thick inches of 3.5ld density patented Energex foam. This comfort layer is contouring and hugs each inch of your body. As well as very responsive and allows you to easily move and change positions and never feel stuck. It also is great for relieving pressure and providing adaptable support. The second layer is 2″ of transitional foam. This layer is a great layer to provide deep comfort as well as allow for a gentle transition between the top comfort layer and base foam. The bottom layer of this mattress is the foundation of the bed. It is 5″ of 1.8lb density base foam. This layer provides a dense, sturdy base for the comfort layers to sit on. It provides great support, durability and longevity that create a solid mattress from top to bottom. The Bowery is covered in Brooklyn Bedding’s signature stretch knit cotton fabric. This smooth finished top cover is breathable, soft and has a nice hand that is tight to the foam layers. The sides of the mattress is covered in a durable blue panel fabric that gives the mattress a nice feel and finish. The Brooklyn Bedding bowery mattress has a 120 night sleep trial period. This is slightly above the online mattress industry average and what is typical offered. This trial period is a few days longer than most and allows for a sufficient amount of time to see if this mattress is a good fit for you and also has a very easy return process if it isn’t. Brooklyn Bedding offers a 10 year limited warranty. Like most mattress warranties the 10 year Brooklyn Bedding warranty is prorated to coincide with the natural average wear of the bed over time. This warranty is fairly standard and provides consumers with the confidence that this is a product that the company will stand behind. If you are looking for more specifics for the Brooklyn Bedding trial period and warranty find out more at brooklynbedding.com. Or for a helpful tool check out Our Mattress Warranty & Trial Period Guide. 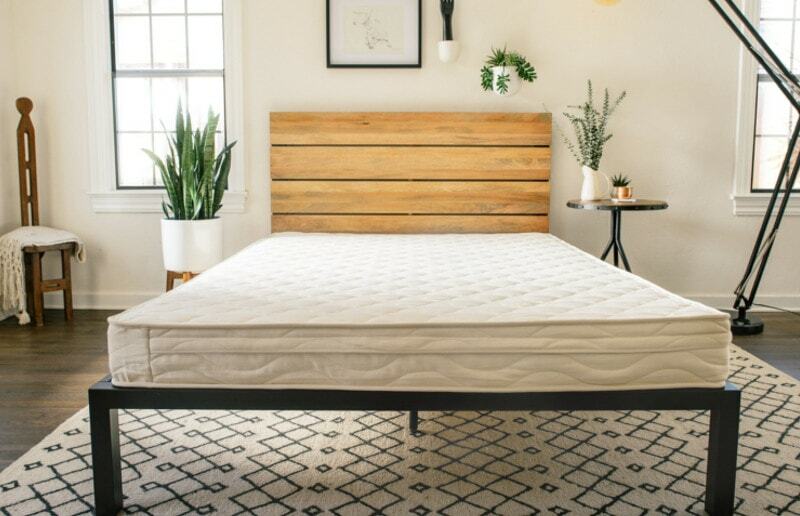 Bowery Mattress – SAVE 20% HERE! The Brooklyn Bedding Bowery all foam mattress is a great choice for an affordable all foam mattress. It is especially ideal for a kids room, guest room, college dorm or as a starter mattress. The universal medium to medium-soft feel is a good for a lighter or smaller framed person and the foams will easily relieve pressure while maintaining very minimal motion transfer. All for less than $600 for a queen size. Buy Your Brooklyn Bowery Mattress Here SAVE 20%: HERE!